Jenn started at LPWC as a Kennel Technician while attending Columbus State Community College and studying to become a Veterinary Technician. 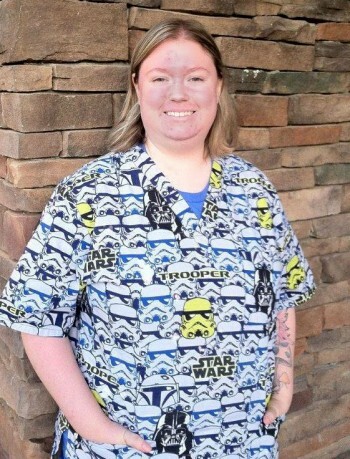 She is currently Registered Veterinary Technician and enjoys working with all of the dogs and cats. Jenn currently has a beagle mix named Helo Huckleberry Hound.